Your living room is center point of your house Give your home a great look with the wide range of Wooden Sofa sets in Delhi NCR and Noida Sector 63 by Furnstyl. 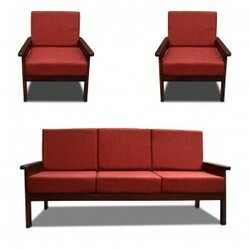 We offer a wide range of Wooden sofa set with different color and material (Sheesham, teak, mango etc). We have highly experienced furniture manufacturer and customizer that take full care of your luxury furniture. You buy your furniture on our online store at Furnstyl.com or our showroom at B-159, Sector 63, Noida, and Uttar Pradesh for any enquiry call at 012042705O5. Furnstyl Offers are always live in festive season; we offer wide variety of furniture at lower range as compared to market price.